Ever wondered how your VM’s are doing ? What resources are they using, do they have too many CPU’s or too much memory ? This simple one-liner will give you a list of each of your vms, it will tell you how many cpu’s, the amount of memory, average cpu usage for x amount of days and the average memory usage for x amount of days, how cool is that ?! Update 03 July 2009: This has been updated as it was not collecting the average over the given timescales, the original code was selecting 1 sample from the timeframe. follow up to my last comment – figured this out quickly, you need real quotes and not this &quot: text formatting error… and remove as well. I just copied and pasted this script and ran it again my 5.5 test environment and got nothing but errors… I take it this was used for 4.x?? I’m talking NOTHING but errors and I run scripts against the environment frequently so I know this isn’t a problem within my environment. 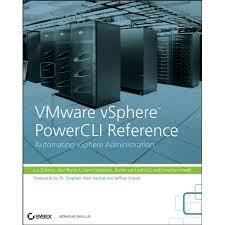 is there an updated version that will actually run in vSphere 5.5? ok, figured this out quickly, you need real quotes and not this &quot: text formatting error… and remove as well. Alan , Great script. One quick question – the Mem.Usage.Average is in MB or GB ? Nothing showing there. The MemoryMB is in MB but Mem.Usage.Average looks to be GB. i would like to run this scripts to particular one cluster and gather all information for those VMs which are belongs to this cluster. greatly appropriate if you can provide me a solution. This Script is very good, i am able to get this report. Hey Alan – great output. Is it possible to add memory active, ballooned and cpu ready time to the report?? ok so this script is the memory and cpu is that what is currently using or assigned, and the average is that percentage of assigned per vm or percentage of host resources? Then is it possible to make it so it shows the average amount rather than percentage and get so emails report? How do I get this script to run, all I get is a quick display of PS all in red from what I can see. I know this is an old script, but I have a question. Why do you have “-MaxSamples (12) ” in the script. Wouldn’t that limit the script to only 1 hour of data, rather then the entire day? Al – how can i have it so i can run the script daily and it not erase the results from the day before? That would extend the timeframe but wouldn’t you want more samples processed? I may be entirely wrong but -MaxSamples (12) over -720 hours wouldnt be very granular to average over. well technically it is possible to calculate 9am to 5pm, run the script at 5pm with addhours(-9) should give you what you are looking for! And run it again at 9am with addhours(-16) and you get the offhours load, might be interesting too ! Does this script calculate over 24hours? If I wanted to calculate over 1 month would I have to use the following? I’m afraid that is not possible with the Get-Stat cmdlet itself, nor with the underlying QueryPerf (http://www.vmware.com/support/developer/vc-sdk/visdk25pubs/ReferenceGuide/vim.PerformanceManager.html#queryStats) method from the SDK. You could get all your statistical data and then use a Select-Object or an If-Then-Else construct on the Timestamp property to filter out the data you want. Yes this is a percentage, you would obviously need constant monitoring to make that sort of judgement though to ensure you catch trend data. Is there a way to calculate average usage during working hours? Say 9am-5pm? This is based on a 24 hour period and could potentially skew the numbers. I would love to see this if it is possible. This is great. But I’m not sure if I understand the Mem.Usage.Average, is the Average in percentage format? On your screenshot for an example VM tstFOG01 has 2048 of RAM and on an average is only utilizing 12.79. So if that’s a percentage it’s using under 300MB to round it up. So if that’s the case, the memory is over allocated. So would it be safe to say that 512mb should be enough? I have over 600 VM’s and couple admins that logon and make changes. I’m sure there are a lot of VM’s that are way overallocated when it comes to RAM and I been trying to find an easy way to figure this out. We don’t really have a good tool to easily get the memory utilization. I been using VMware Consolidation by adding VM’s, it’s been working OK but it only gives me a 24hr view.